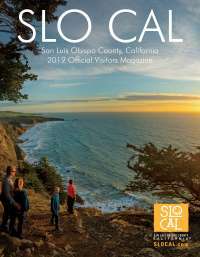 Thank you for considering SLO CAL as your next filming location. With our wide range of backdrops, Film SLO CAL can assist you with finding the perfection location for your next production. Do you already have your locations secured? Film SLO CAL can also assist you with finding local crew, equipment, vendors, lodging and other production services. Our goal is to make your production run smoothly, so you can most the most of your budget in SLO CAL. We invite you to fill out the Film Information Request form below, and tell us a little bit more about your production needs. Please let know how we can assist you.